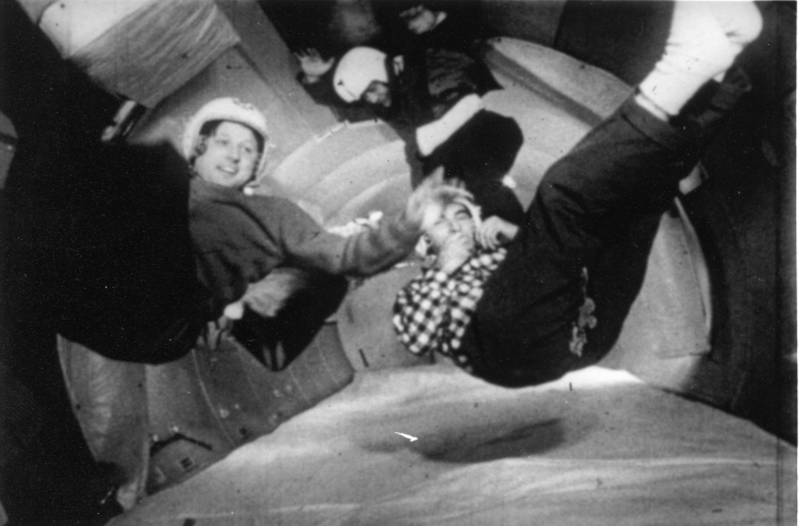 A rotund Life Magazine correspondent floats through the air inside an aircraft flying ballistic curves, to simulate the experience of weightlessness in space on earth. The enchanting short film, initially titled “Zero Gravity,” ran on the Ed Sullivan Show in 1958 and, the following day, on CBS News and other programs. Life Magazine was delighted with the free publicity it was getting for its cover story on the same subject. The public success helped Drew build his case at Time-Life for more funding for documentary filmmaking. You can see the film at snagfilms.com.